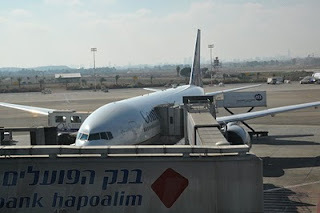 I'm sitting in a plane (OK, I'm not while editing this post, but I was while writing these words). It's not very comfortable and it seems very long. I watched a movie, helped the kids with their food, put a pull-up on the little one, slept a little, and woke up. From my position here over the Atlantic ocean, at 624mph at 35000ft, I marvel both looking back and forward in time. Indeed, the world today is in many ways a much smaller place than it used to be. Just in the last decade and a half its virtual dimensions diminished even more thanks to the Internet. True, the Internet changed and augmented accessibility and provided a platform for much more immediate, albeit superficial, communication. Alas, so far the Internet hasn't created a valid substitute to face to face meetings, to shaking hands or to giving one's family a hug. The sensory party of actually meeting a person compared to a video conference, e-mail, chat, blogs or social media, is much akin to listening to music on the radio compared to being at a live concert. Better than no communication? Yes. In addition personal communication and human touch? Sure. Complete substitute of the analog experience? I say absolutely not. Just think - is watching Paris on the best screen a real substitute to strolling its streets, interacting with the people and ordering a pain-chocolat at a corner Patisserie? Regretfully, no. We're a forward looking, inventive and indefaticable race. I can hear the cynics go "Pfft" just about now, citing all the wars we're engaged in, rich-poor polarization, totalitarian regimes, the turmulous twentieth century, first decade of the twenty first century, global warming, oil spills, etc. But beyond all that muck of faults and mistakes lies the will to try. Even if not always successfully, we keep trying to improve. Hence, are we at the pinnacle of human transportation? Is this it? Probably not. In fact, we already had better. 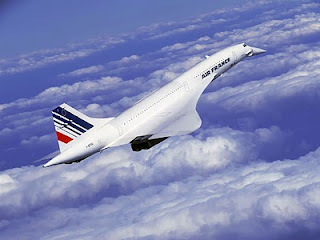 The Concorde plane, a very expensive but amazing ultrasonic jet airplane was able to take people from America to Europe in less than half the time it takes on a conventional airliner. But it didn't make it in the business world by numerous accounts, from one accident (that didn't stop regular jets from flying or the space shuttle), through regulations about ultrasonic flights above land, price and even airport security and all the other time that it takes to get to and from the airport. 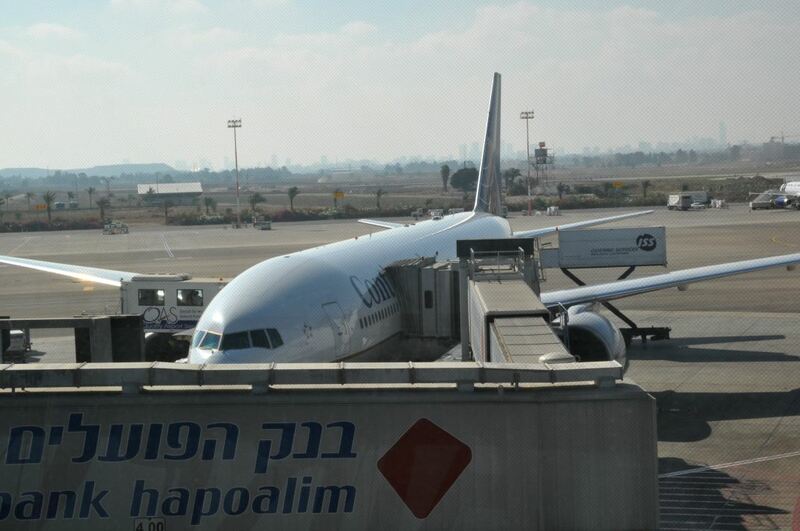 I am looking forward for a time when I'll be able to go door-to-door from Colorado to my hometown of Haifa in a lot less than the twenty six hours that it takes today. Yes, compared to the months on a horse and ship it would take me a 150 years ago it's nothing, but what if it took only six hours? How about three? Wow. In computer software the rule of 90/10 is common knowledge. It means that usually 90% of the work will be necessary to get the last 10% results. For example, improving reliability of a system from 99% to 99.9% is much easier than from 99.9% to 99.99%. Why would you want to do that, you ask? Well, punch in the numbers for a bank with millions of transactions a day and you'll get the picture. The same principal applies to other domains. For example, if you ever moved between homes you realize it takes a very long time to finish packing everything once you're already 90% done. Or clean the last bit to make your mother-in-law incapable to find dust anywhere. Such is also the case with transportation. Improving on both speed and price of transporting people is no easy task. From the scientific standpoint faster transportation is known to be possible. We know people can travel much higher speeds and generally withstand much higher acceleration than that of a current airliner. We already have life-support systems that sustain people for months in a hostile environment of vacuum and extreme temperatures. The next revolutionary step in human transportation should be suborbital point to point. It is possible. Today. Will I see it in my lifetime? I really hope so. We have the science, rocketry and human performance envelope all figured out. So what's the delay? The main hurdles for it may be similar to the factors that took the Concorde down. However, with enough time and lowering cost, resulting from the suborbital tourism and research industry that is so close to starting, maybe I will get to see it after all. Suborbital point-to-point is not trivial. The flight profile is very different than anything we've got today. It is actually closer to orbital flights than to the upcoming touristic and research suborbital flights (up and down to the same location) in terms of required energy and thrust. For the space shuttle, Soyuz or any other craft that goes into low Earth orbit (LEO), manned or unmanned, to reach LEO it needs to accelerate to about 17,500 miles an hour and reach an altitude of about 300km. For suborbital point-to-point it is less, but the craft still needs to get to about 150km altitude and accelerate to speeds of a similar order of magnitude. So with today's technology we're talking rockets. Financially it is very hard to accomplish as unlike an airplane, which nowadays can transport up to over 800 people (Airbus A380) at once, the most people that got thus far transported on a rocket-based vehicle is seven (Space Shuttle). In spite of the daunting finances, how great would it be to soar to the outer edge of Earth atmosphere, watch the Earth curvature and dark skies, then come down, an hour or two later, on the other side of the world? Before this becomes a civilian reality, if ever, it will have to go through military use, transporting fifteen or twenty troops and supplies for a remote mission. The kind of effort in designing, producing, man-rating and initial risk acceptance such a new transportation capability will require the deep defense pockets.